The Helstonbury family recently lost another member to the band call for that Great Gig In The Sky wjth the passing of Dave Sugarbeet Phillips, who fell victim, like so many before, to the ravages of cancer. A connoisseur of good music and bad jokes, he will be remembered for his Helstonbury outings with long-time friend and musical collaborator Danny Poultney, treading the boards together as Champagne and Sugarbeet and playing an eclectic mix of blues, country, jazz, and anything else that seemed to fit. 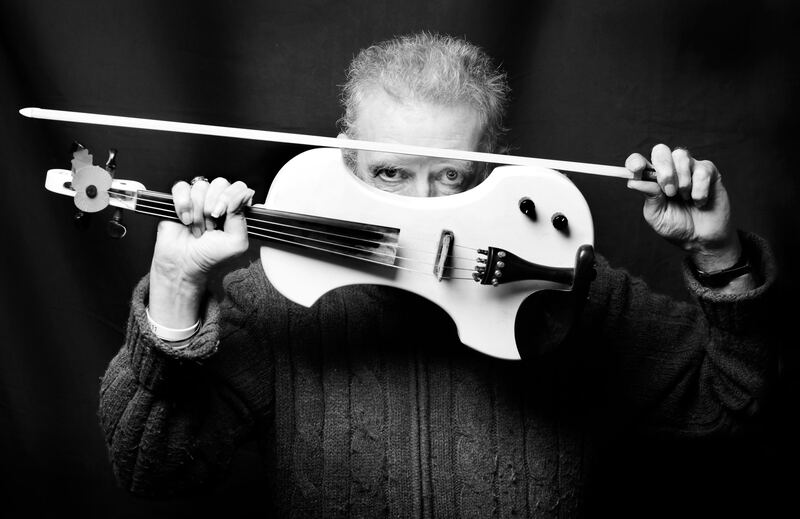 A practitioner of the violin, both in electric and acoustic forms, David had formal training from an early age, becoming a devotee of the legendary violinist Ruggiero Ricci. Whilst his love of classical music never left, he was ultimately drawn to the world of blues after hearing the performances of Don Sugarcane Harris with The Mothers Of Invention. He aforementioned Mr. Harris was also to provide the inspiration for David’s stage moniker of Sugarbeet, in tribute to his original blues performing hero. Among other favourites were Little Feat, Quicksilver Messenger Service, Steve Miller, and legendary Welsh rockers Man with whom David was to strike up a longlasting friendship. Aside from his performances as a Helstonbury regular, David also played many times at Beer for their Blues Festival, as well as several London outings in the company of friends and collaborators from the capital. CDs were made, as were recordings for other musical projects both as sideman and as producer, from the medium of his home studio and the internet. So there we have it, Helstonbury-ers. Another one gone but not easily forgotten.